TORRENT PHARMACEUTICALS LTD AMIFRU 40MG TABLET Amifru 40mg Tablet - Buy online at best prices with free delivery all over India. Know composition, uses, benefits, symptoms, causes, substitutes, side effects, best foods and other precautions to be taken with Amifru 40mg Tablet along with ratings and in depth reviews from users. Product #: SOM Price: Rs.6.63 Rs.6.63	Available from: SAVEONMEDICALS.COM In stock! Order now! 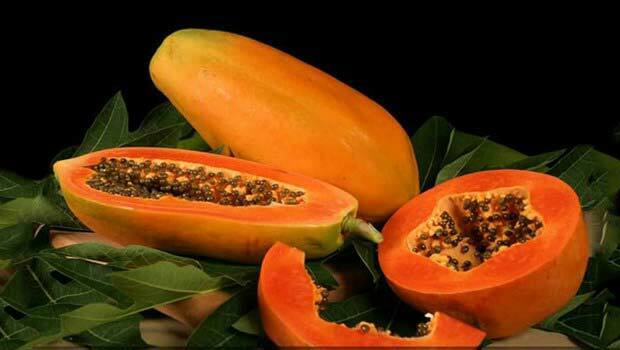 It is also used for treating or preventing low blood potassium levels, caused by the other diuretics. Amiloride may also cause loss of body water (dehydration) and salt/minerals when given with other diuretics. When the body or some parts of the body become swollen or puffy, the condition is known as edema. The swelling occurs when the capillaries (tiny blood vessels) in the body leak fluid, which is trapped in tissues of the body, especially the skin, causing swelling. A small part of the body or the entire body can be affected. Although edema is quite a common condition, sometimes an edema can be a sign of some serious problem. Most often, edema affects the skin and parts of the body such as arms, hands, legs, feet and ankles. It can affect the bowels, lungs muscles, brain and eyes too. Peripheral edema:The edema affects the legs, feet, ankles, arms and hands. Pulmonary edema:This occurs when fluid collects in the lungs and makes it difficult to breathe. This can be caused due to acute lung injury or congestive heart failure. Macular edema:The swelling occurs in the macula of the eye and is a complication caused due to diabetic retinopathy. Cerebral edema:When there is swelling in the brain. The pumping action of the heart delivers blood rich in oxygen and nutrients to the cells of the body. And, when the cells get proper blood flow, they are nourished and enable the body to function normally. Also known as congestive heart failure, when the heart muscle does not pump the blood properly, heart failure occurs. This condition is when the heart is unable to handle the load. Conditions like high blood pressure, a disease of the coronary artery (narrowing of the arteries), etc. makes the heart very weak to pump blood effectively. Heart failure is very a serious and progressive condition and usually does not have a cure. However, even if you have suffered from heart failure, with proper medications and a few lifestyle changes, the conditions can be managed. Heart failure may be due to a problem in the right ventricle (right side), left ventricle (left side) or may involve both the sides. Commonly, heart failure occurs due to a problem in the left ventricle, which is the main pumping side of the heart. Left side heart failure: The fluid can collect in the lungs resulting in shortness of breath. Right side heart failure: Fluid may collect in the legs, feet, and abdomen and cause swelling. Diastolic heart failure: This is when the left chamber cannot fill or relax completely. This indicates a problem with filling. Systolic heart failure: The left ventricle of the heart cannot contract quickly and this indicates a problem with pumping. Staying or sitting in a particular position for a prolonged period. High altitude, sunburn or burns. Eating too much of salt or salty foods. Medications (high blood pressure medicines, steroid drugs, NSAIDs, estrogens, thiazolidinediones (diabetes medication), vasodilators, etc.). Cardiomyopathy or damage of the heart muscle due to diseases and infections, smoking, abuse of alcohol and drugs, chemotherapy drugs and genetic factors. Myocarditis (inflammation of heart muscle). Congenital heart defects (born with heart defects). Heart arrhythmias or abnormal rhythms of the heart. Other diseases like HIV, diabetes, hyperthyroidism, hypothyroidism, hemochromatosis (iron build-up) and amyloidosis (protein build-up). Severe infections, viruses attacking the heart muscle, blood clots occurring in the lungs, allergic reactions, illness affecting entire body or certain medications. Sodium is very bad for edema. So, avoid consumption of salt and salty foods such as French fries, chips, soy sauce, salted nuts, pretzels, bacon, ham, canned tuna, processed meats, hot dogs, sausages, takeaway food, cheese, canned foods, etc. as they are high in salt. Avoid foods that are high in saturated and trans fats as they stimulate inflammation and worsen the condition of edema. Avoid or limit consumption of alcohol and caffeinated beverages, as they cause fluid retention and aggravate the edema. Avoid carbonated beverages such as fizzy drinks, soda, beer, etc. as they contain loads of sugar and sodium and they also cause bloating and gas apart from making the edema worse. Avoid processed grains and products such as oat cereals, ready-to-eat bran, popcorn, pancakes, waffles, crackers, etc. as these contain a lot of sodium, which worsens edema. Avoid tomato juice and vegetable juice as they have high levels of sodium which worsens the edema. Avoid convenience foods such as soups, rice, pasta mixes, frozen meals, etc. as they are high in sodium and cause the edema and swelling to worsen. Avoid trans fats in the food you eat. Avoid eating baked foods like margarine, cakes, pastries, fried fast foods, frozen pizzas, cookies, etc. Avoid meats that are high in fat like prime cuts, hamburgers, etc. Reduce the amount of cheese you eat, especially the ones that contain salt. Avoid processed foods like hot dogs, bacon, canned foods, ramen, soups, macaroni, and cheese, etc. Avoid condiments like pickles, mustard, sauces with salt, etc. Avoid salt or salty foods or reduce the amount of salt used in your cooking (limit amount of salt and sodium to around 1500-2000 mg per day). Avoid sugary foods and foods that do not have any nutrition such as sodas, fast food, candy, etc. Cut down consumption of salt. Lose weight in case you are overweight. Raising your legs helps to improve circulation. Walking, cycling, running and aerobics can help to prevent edema. Regular exercise can help to prevent occurrence of edema. When you are travelling, get up and walk around regularly. In the cold temperature, dress warmly. When sitting at your desk at work, if you have swelling in your ankles, then lift your legs parallel to the floor periodically. Keep up your feet propped up on a pillow when watching TV, resting or reading. The gravity can help to drain the fluid away from the swollen feet and ankles. Applying ice to the affected parts can help to reduce the swelling. However, avoid this if you suffer from poor circulation or diabetes. Controlling problems like diabetes and hypertension. Use healthy methods of cooking like baking, boiling, steaming, grilling, etc. instead of frying. Avoid extreme temperatures and very hot showers, baths and sauna therapy. Avoid crossing your legs, as the blood flow through the veins gets limited and makes the swelling worse. Avoid wearing tight clothing, as it stops the fluids from being removed from the lower legs. Avoid smoking and if you do, quit completely. You can use massage therapy to remove the accumulated fluid by massaging in the direction of the heart. Massaging helps to activate the lymphatic system, helping to drain the fluid naturally. You can use warm olive, coconut or mustard oil and massage the inflamed area many times a day for relief. Keeping the swollen portion above heart level many times in a day, especially while sleeping can help to reduce edema. Using compression sleeves, stockings or gloves put pressure on the limbs and stops the fluid from collecting in the tissue and helps to reduce the swelling. Calcium, magnesium, vitamin D and B5 help to improve the kidney function and remove the water from the body, thereby preventing edema. Dandelion has natural diuretic properties and contains potassium that helps to reduce the level of sodium and also aids in eliminating the fluids and reducing the swelling. You can mix a teaspoon of dandelion leaves, dried or fresh in 1 glass of hot water and let it steep for around 5-7 minutes. Strain and drink the tea 2-3 times in a day for relief from edema. However, you should avoid using dandelion if you have gallbladder problems. Apple cider vinegar and helps to reduce fluid retention and also pain and swelling caused due to edema as it has a high potassium content. Adding 1-2 teaspoonful of apple cider vinegar to a cup of water and drinking it 2 times a day provides relief. Or, soaking a towel in a solution of water and apple cider vinegar and wrapping the towel over the affected parts of the body 2-3 times in a day can provide relief from swelling. Mix 1 cup of Epsom salt in a tub of warm water and soak in it for 10-15 minutes around thrice a week. This can help to flush out the excess water and toxins from the body and reduce edema. Tea tree oil has anti-inflammatory and analgesic properties. Add it to some oil such as coconut or jojoba oil and massage it to the affected parts twice a day for relief from inflammation and pain. Parsley has diuretic properties and can help to reduce painful swelling caused by edema. To 2 cups of water add a spoonful of parsley and let it boil for around 10 minutes and strain and drink the liquid in the morning on an empty stomach or grind the parsley leaves into a paste and apply the paste to the inflamed areas for around 30 minutes and rinse with warm water for relief. Garlic is very beneficial for problems like high cholesterol, blood pressure, coronary heart disease, etc. It also helps to prevent the hardening of arteries (atherosclerosis) and improves blood circulation. You can eat 1-2 fresh cloves of garlic every day or you can take garlic supplements instead. Hawthorn is an excellent herb for the cardiovascular system and can be beneficial in the case of heart failure. The herb helps to improve the contractions of the cardiac muscles resulting in stronger pumping and also increases the flow of blood to the heart. Hawthorn also helps to enhance the cardiac output and performance and reduces the load on the heart. Research has found that extract from the Chinese hibiscus flow has anti-atherosclerosis effects and the flower has antioxidants that help to prevent bad cholesterol, the main cause of heart failure. You can drink herbal tea made by boiling petals of hibiscus in water with a teaspoon of raw honey once in a week for beneficial effects. Turmeric is found to be very beneficial for heart health and can prevent atherosclerosis. The curcumin present in turmeric helps to keep the heart healthy by preventing the oxidation of cholesterol, formation of clots and plaque build-up. Using turmeric in your cooking regularly is a good idea. Or, you can boil a teaspoon of turmeric in a cup of milk or water and drink it 1-2 times in a day for a few months for excellent benefits. You can also have turmeric in the form of a supplement too. Cayenne pepper is excellent for the treatment of circulatory and heart problems. The compound capsaicin present in cayenne helps to lower cholesterol levels and prevent the irregular rhythms of the heart. You can add ½ - 1 teaspoon of cayenne pepper to a glass of hot water and drink it 2-3 times in a week or you can take cayenne supplements. What is the frequency of use of AMIFRU 40MG TABLET? Have you been prescribed AMIFRU 40MG TABLET by a doctor? How do you rate AMIFRU 40MG TABLET on price? Eating foods rich in potassium such as bananas, broccoli, apricots, sweet potatoes, oranges, lettuce, spinach, tomatoes, etc. helps the kidneys to remove the excess sodium and fluid from the body and prevents edema. Vitamin B6 contains pyridoxine and this has diuretic properties which help to flush out the excess fluid in the body. Foods like red meat and brown rice are good sources of vitamin B6. Eating foods like cereals, fish, yeast, nuts and chicken can help to prevent edema. Foods that are rich in omega-3 fatty acids, which are found in fish oils and oily fish can help to reduce inflammation in the body. Eating salmon helps to prevent edema and swelling. Nuts like almonds and walnuts are excellent sources of omega-3 fats and help to prevent swelling and edema. Oils such as olive oil and coconut oil can help to prevent inflammation, swelling and prevents edema. Switch to lean meats like chicken, fish, turkey, etc. and cook them without adding fat. Eat fresh or frozen vegetables and fruits as they contain less sodium. Use monounsaturated and polyunsaturated fats like olive oil, canola oil, etc. and avoid the use of saturated fats to reduce your cholesterol levels. To add flavor to your foods, add spices, herbs, vinegar, lime or lemon juice, etc. instead of salt-based condiments and flavorings. Eat unsalted nuts, fruits, and vegetables as a snack. Consume fat-free or low-fat milk and dairy products. Stick to whole grain bread and cereals. Q1) Is AMIFRU 40MG TABLET effective? Q2) What is the frequency of use of AMIFRU 40MG TABLET? Q3) Have you been prescribed AMIFRU 40MG TABLET by a doctor? Q4) How do you rate AMIFRU 40MG TABLET on price? Q5) What is your overall rating of AMIFRU 40MG TABLET? Is AMIFRU 40MG TABLET effective? Need to know about substitutes / similar medicines like AMIFRU 40MG TABLET. Click here. What are the uses of AMIFRU 40MG TABLET? What are the side-effects of AMIFRU 40MG TABLET? What is the composition of AMIFRU 40MG TABLET? What are the contraindications of AMIFRU 40MG TABLET ? What are the Do's Of AMIFRU 40MG TABLET? What are the Dont's Of AMIFRU 40MG TABLET? What are the symptoms where AMIFRU 40MG TABLET is used? What are the causes where AMIFRU 40MG TABLET is used? What are the best food interactions of AMIFRU 40MG TABLET ? What are the worst food interactions of AMIFRU 40MG TABLET ? What are the substitutes of AMIFRU 40MG TABLET ? Some useful tips for AMIFRU 40MG TABLET ?